A former commissioning editor at UK pubcaster the BBC is setting up a new factual indie in London and has secured three commissions from Viacom-owned Channel 5 to kick off with. 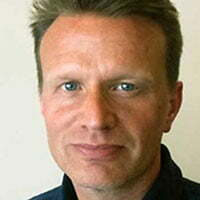 Zeppelin Films has been founded by former BBC commissioning editor Elliot Reed who will be MD of the new venture. Production financer and incubator Greenbird will back the indie with services and support. Its first commissions are for UK terrestrial Channel 5’s sister channel 5Star. Rich Kids Go Homeless is a 6×60’ series exposing the gulf between the haves and have-nots in Britain today by taking one young wealthy person with negative views of homeless people in each episode and challenging them to live as a rough sleeper with no money, ID or possessions to see if they can get back on their feet. The second commission is a four-part series, Grounded with Grandad (working title), also for 5Star, which will attempt to bridge the gap between the young and old. The format tackles the ageism problem in the UK by asking young people to move in with over-70s who live life to the full.